Valle's book is still available if you search round the net. 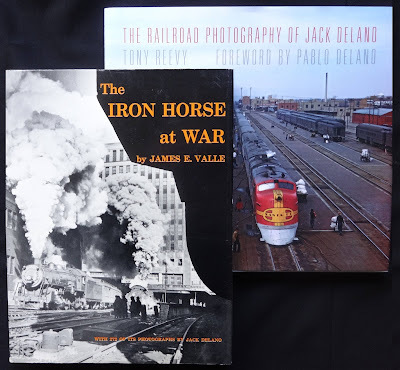 At last, a fascinating overview of Jack Delano's railroad photography. His work on this subject has certainly been neglected. Some photos were in Don Ball's The decade of trains: the 1940s published in 1977 and the same year saw James Valle's The iron horse at war with 272 wonderful mono photos unfortunately presented in a very bland looking book (incidentally it can still be picked up quite cheaply if you look around the net). The back pages have an interesting nine pages devoted to Roy Stryker's railroad shooting scripts followed Notes over four pages (well worth reading, too) then a Bibliography and Index. 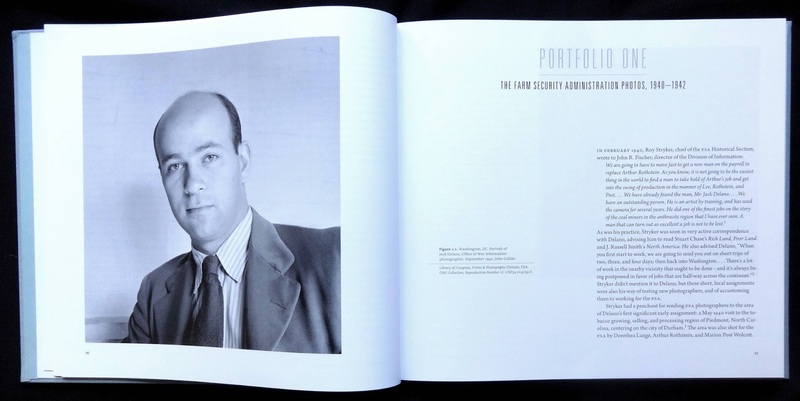 The book is well produced in its landscape format, all the photos are captioned including their Library of Congress number. Jack Delano's railroad photography comes alive in these pages. I bought a copy recently and it's like returning to an old friend. I had the original when it was published in 1961 and kept it on my desk at the office. It was always being looked through by colleagues, pages copied, dropped on the floor, borrowed (and luckily returned) but as is the way with office books it eventually disappeared. I was familiar enough with the pages not to buy a copy until nostalgia got the better of me and I thought I really should own a new edition. 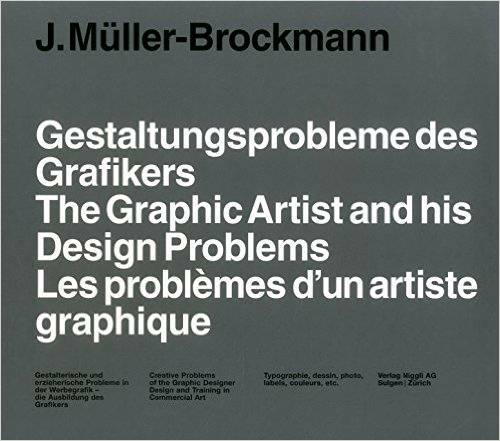 Despite the contents being over fifty years old what JM-B writes is still relevant today, not in the sense that pages are full of hands-on information, though there is some of that in the text but more a philosophical approach to commercial creativity which is revealed to the reader by studying the displayed work. The majority of this has been created by JM-B during the fifties and nicely cover a wide range of print material. My favorite sections are the series of posters for the Zurich Tonhalle Gesellschaft, these are just timeless designs, the other is the student work in the last chapter, some of the graphic design and typography is quite remarkable. Obviously the digital age was decades away when the book was first published and maybe website designers might strain to find anything of relevance to their creative output but companies still need print: brochures; magazine; booklets; letterheads; reports; packaging; logos and more. 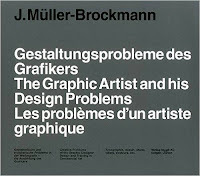 These pages will provide the inspiration to design problems.